A web portal is the web page which gathers worldwide broad array of information and integrated in the uniform way. Each of the different portals provides the functions and features to assists the users with an easy and personalized web-interface for facilitating access to information that relevant to their interest. Along with the high developed internet, more and more people access to internet daily. Seize this opportunity, your business should own a web portal which able to strengthen your business. 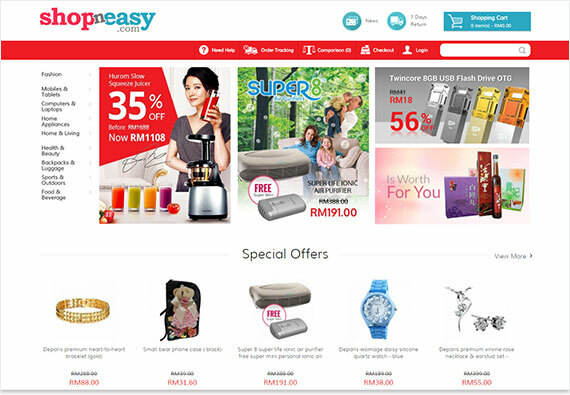 ShopNEasy is one of our company portal website in Malaysia. It is an E-commerce platform for the merchandise to promote and sell their product or services to whole Malaysia. In this competitive business world, E-commerce marketing is one of the important characters in business strategies. ShopNEasy do provide a platform for merchandise to get more business from different fields and much easier to reach their business to other audiences. As an effective e-commerce strategies, ShopNEasy work together with Iguang to boost Malaysian e-commerce businesses to get more traffic and sales. ShopNEasy also provide latest and friendly using features for our merchandise and customer. For example CMS, SEO, GST Module, Shipping Coin and etc. Merchandise of ShopNEasy enables to manage their business in ShopNEasy to fulfill customer needs. 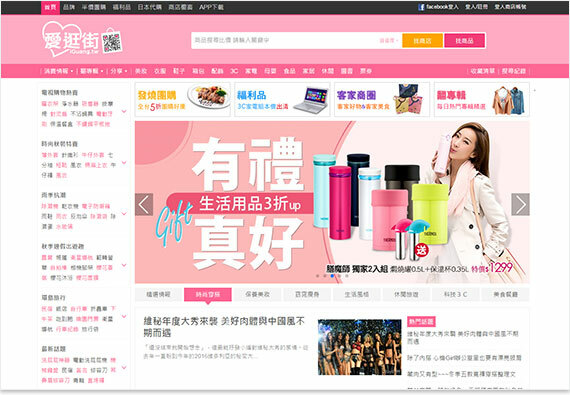 IGuang is a portal of high reputation and large virtual shopping mall on internet. We promote merchandise to consumer and help to increase e-commerce turnover. We also drive traffic to our merchandise to reach more business and audiences. IGuang provide a good shopping guide for consumers to sharing, collective buying, comparison and etc. So that consumers able to getting information through information IGuang. IGuang also provide a good comprehensive function management for merchandise and consumers. IGuang shopping guide integrates collective buying websites information, information can be seen by consumers at a glance, and consumers will be able to perform cross site searching to see overall information of different websites, however consumers will not miss out any promotion. 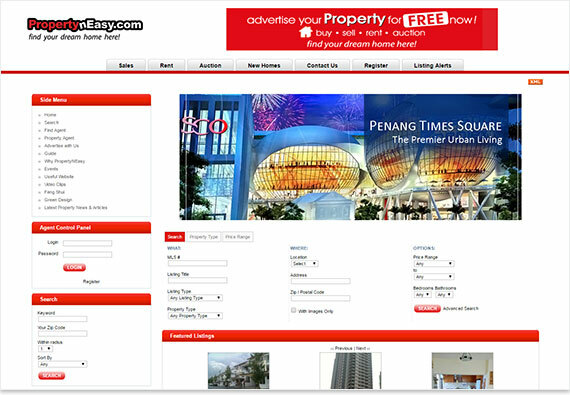 PropertyNEasy is one of an online property portal website in Malaysia. Our company offers property listings, news updates, and property related information. PropertyNEasy is a group buying website that offers property buyers and investors a platform to get the best property deals. PropertyNEasy provide good features and function for our online users to posting and searching their favorite property in our portal website. We also provide different way for online user to promote and publish their property to whole Malaysia instead of small networking around. For investors or buyers also will be easier to found their favorite property in our portal. They can search the property according to their requirement by few steps clicking.